The world-wide web is an omnipresent tool of our daily as well as our professional life which implies that online job application is the most common thing to do nowadays. Companies seek employees themselves by using social networks and checking online profiles. To help you to use those features most adequately, this article will provide you with some basic information for a professional online appearance. Did you finish an academic or vocational education and are you ready to start your professional career? Then you will have to decide for either a classic job application on paper or an online job application. The Social Media Recruiting Report of 2013 shows that online applications are a crucial part of any job application process. There is, on one side, the standard form of applying online directly on a company’s website or via email and, on the other side, a broad spectrum of business web portals such as LinkedIn and Xing which gain more and more importance. To learn more about this process and how to make an excellent impression, continue to read the following article. The new era of the worldwide web offers more and more options to establish different forms of image cultivations. When using a less main stream job application you will emphasize uniqueness and capture an employer’s focus. Please avoid old and outdated classics such as delivering a job application in a pizza box which will only harm your credibility. A more common technique nowadays is a graphic illustration in PowerPoint or Slideshare. PowerPoint is an excellent tool to create a well-structured and creative curriculum. Having created your own CV, you can easily attach it to an email or upload it in Slideshare. LinkedIn is another way to share your CV with people all around the world – a tendency that slowly but surely spreads from the U.S. to many other countries. LinkedIn has more 60 million users. By using Slideshare for your CV, you will be able to link it with Xing or LinkedIn but you should be aware that you may complement a job application with such devices but you should not completely substitute its original form. The main focus will still be on your qualifications and your former career. 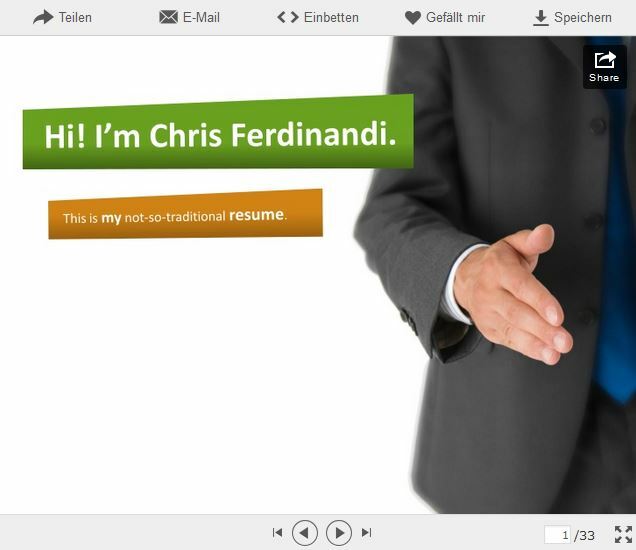 To get an idea of the whole issue, Slideshare offers many examples of creative CVs. Emiland de Cubber, a French designer, had been looking for a new job and designed company-specified job applications, uploaded them on Slideshare and sent each link to the person concerned of the company he was applying at. The effect: Within a couple of weeks he received a job offer of one of the companies. As well as Chris Ferdinandi who had created numerous well-designed job applications. His presentations are a bit more plain and to the point. Want it simple? 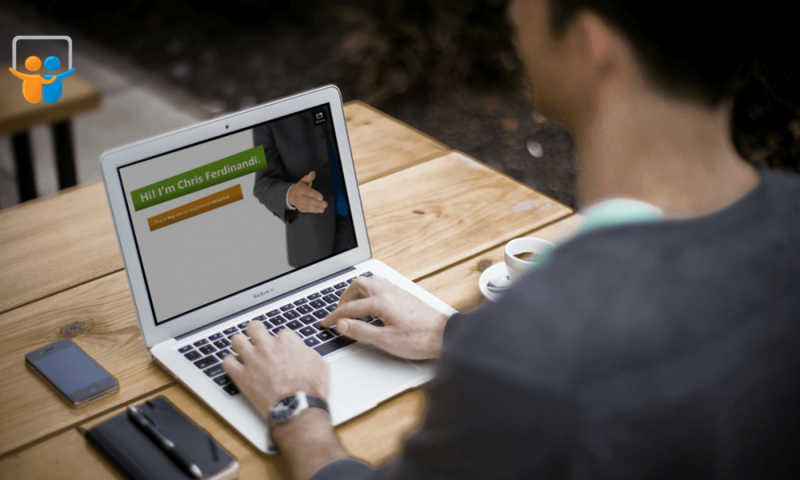 Check out our professional PowerPoint job application templates.